This one-pot meal is a great way to use leftover rice and/or chicken. You can use egg or shrimp instead of the chicken. The type of vegetables can vary depending on what you have on hand. You just need 2 cups of vegetables in total. 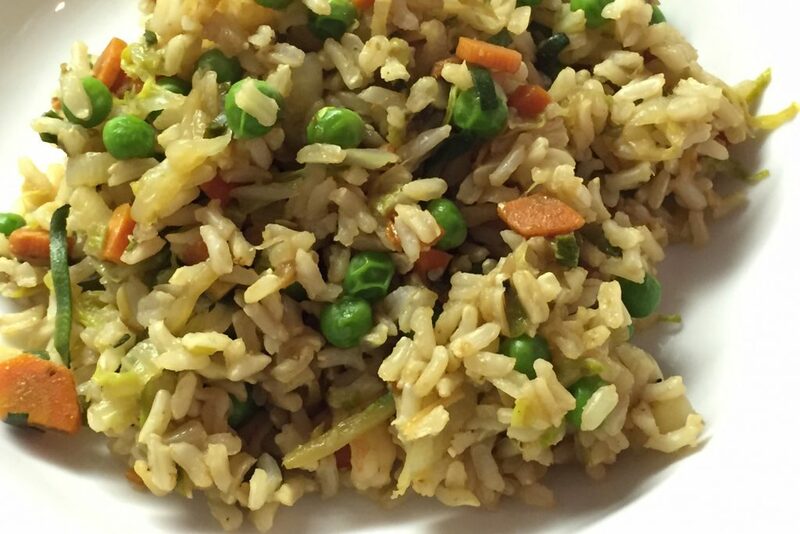 A good combination is mushroom, peas, carrots, cabbage, and green onion. In the same wok add the remaining olive oil and heat over medium-high heat. Add the garlic and ginger and cook for 2-3 minutes. Add the chopped green onions and other vegetables. Cook on high heat for approximately 5 minutes. Once the vegetables are tender, add the cooked rice and chicken and toss again on medium heat for 2 minutes. Add the soy sauce and toss to combine.